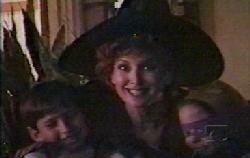 Marnie Mosiman in "Without Warning"
Marnie plays a mother of kids dressed up for trick or treat night. 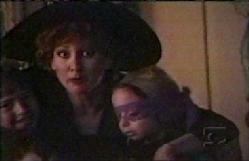 Marnie in a witches costume in "Without Warning." John de Lancie and Marnie Mosiman, who are husband and wife, are actually in this movie together.